We may be fast approaching a time when utility companies and major energy suppliers become a thing of the past. As we continue to embrace the world of renewable energy, including solar panels and wind farms, many of us are becoming less focused on the national grid and more on community power generation. Is it possible that in the next twenty or thirty years each town or city will have its own personal power supply that is financed and maintained by local inhabitants? 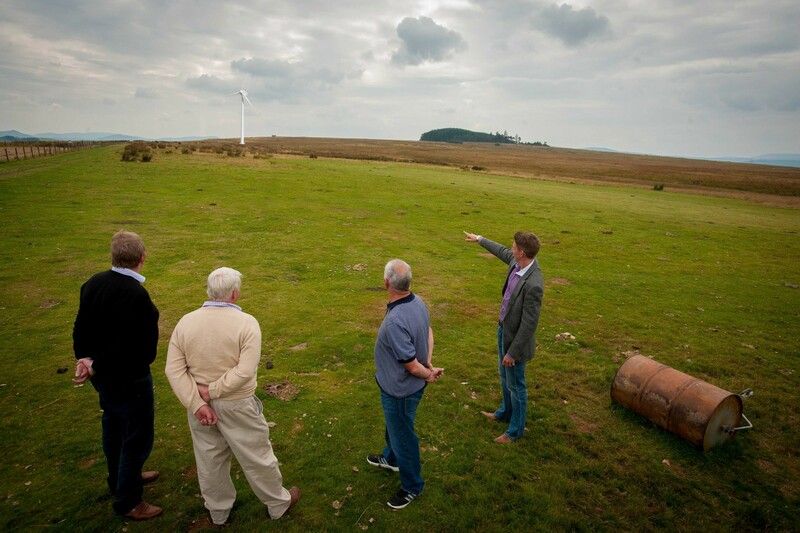 We have, over the last decade or so, seen a number of community projects for hydro-electric and wind farm development taking place. Though these today feed into the national grid and the power they generate is used for the benefit of all, with a slight tweak in infrastructure we could see individual communities becoming far more sustainable and independent than ever before. Whether it is a good idea or not, remains to be seen, but the capacity is there along with the technology to change the way that we distribute and generate power. Is Community Solar the Way Forward? One of the arenas in which community renewable energy projects have taken off more recently is with solar power. In the current climate where large solar farms are being knocked back because of lack of funding or an unwillingness to grant planning permission, one of the clear ways of getting panels onto rooftops is through the backing of the local community. Subsidies and the Feed in Tariff may well be under threat, but if the evidence of recent projects is to go by the solar power industry still has a pretty bright future. The Chase Cannock Community Solar project is a prime example of how to raise money to install solar panels by getting people to invest in a sustainable energy initiative. Anyone over the age of 16 can buy shares in the project and the minimum investment is £100. The dividends are paid through the revenue generated from panels that have been installed with the return expected to be about 7% over the next 20 years. The project has so far raised £750,000 to help with the installation of solar panels in the local community. A lot, of course, depends on the energy and enthusiasm of the local community when it comes to projects such as these. It could be that the renewable energy agenda may well be taken out of the hands of national governments and managed locally, with residents having a much greater say over how their own power is generated. Whilst it may take time, the notion of community solar panels and other technology is beginning to gain greater traction and could be the most viable and productive option for our future electricity generation. Previous PostPrevious Is it Time the People Took Back their Power? Next PostNext Short Termism and Entrenched Ideas: What Happened to the Greenest Government Ever?